When it comes to figuring out how to get party bookings when you have none, there are a few things you can do to quickly fill your calendar! Marketing Your Business is crucial to getting your name out in your community to book parties from people you otherwise do not know. Always make sure you have your “gardening” gifts on you so that you can hand them out to anyone you meet! 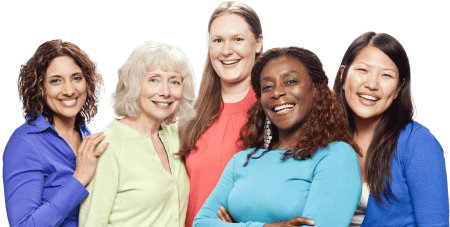 Past Hostesses and Clients are your #1 resource for finding new bookings. These are ladies who already know you, know your product, and do not have to be “sold” on the idea of having a party as they are already familiar. Go back through your past order forms and contact your previous clients with a booking special. Notice this is not a yes or no question! Offer an incentive to the Referrer for every party that books. Challenge your other teammates and sponsor to a Booking Blitz. There is something about knowing that all of your “sisters” are doing it too, that makes it a little easier to pick up the phone. Make a list of every single person and phone number that you can possibly imagine – including old hostesses and clients, and spend 2 hours one night doing nothing but calling to ask for bookings. It is YOUR ENTHUSIASM that is going to make this work. Be cheerful, excited, and very very appreciative of her, and then be sure to follow up the next day. Do not spend the time during the Blitz to get all of the rest of the information – as soon as you hang up with her you will call the next person. While doing your paperwork on each party, compare your order forms to your Guest List to see who was unable to make the party. You never know what circumstances she had that prevented her from coming, a quick courtesy call will not only show fantastic Customer Care but may very well lead to a booking! Always offer the Hostess Rewards when reservicing your clients. As we have talked about so many times with Customer Care, you want to have a contact with your clients a minimum of once every 3 months – even sooner with consumable products that need to be reordered. Whether you call your client, or she calls you, always ask “Would you like to have a party to earn this order free?” before getting her payment information. And finally, get in a Party Routine – the more parties you do, the more parties you will book. The more Gardening you do, the more parties you will book. The more referrals you ask for, the more parties you will book. Use the Diva Success System to get yourself into a routine so you always know what you are doing and when, and you are never scrambling around last minute. This will also make your life and business much easier to manage when The Snowball Effect Occurs. 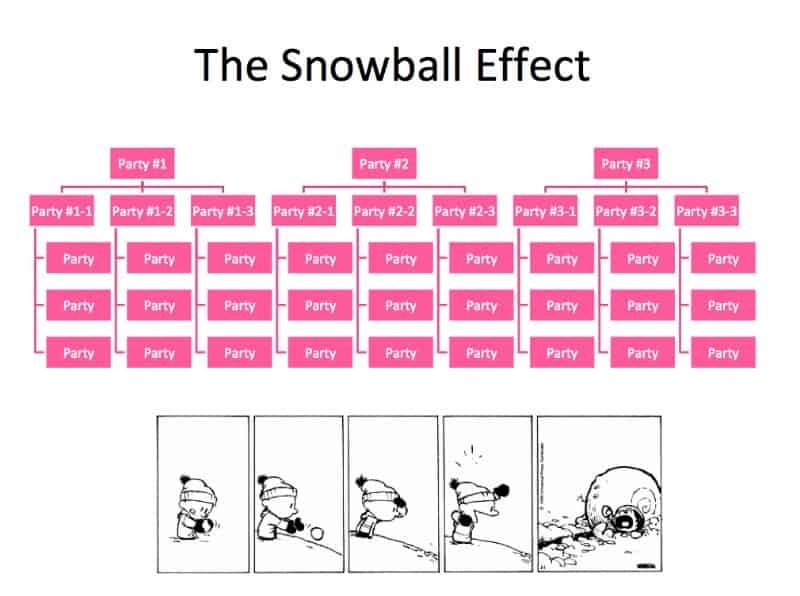 The good news – The Snowball Effect. You do not have to book 15 parties to fill your calendar – make the goal to book 3, and then 3 from each party you hold. This will create the Snowball Effect. For instance: Week 1 you have 3 parties which will each book 3 parties – resulting in 9 bookings. 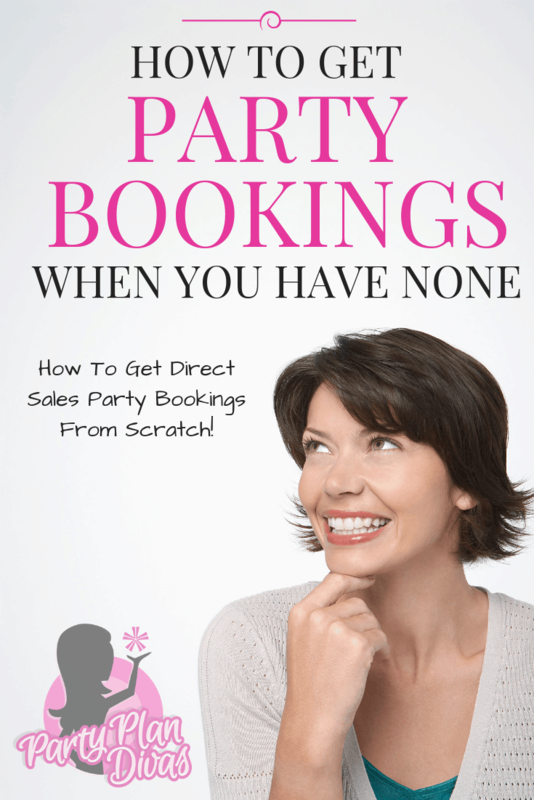 If each one of THOSE parties books out 3 parties, you then have 27 party bookings!